When I was looking for a card to buy Dave for Valentine’s Day, I didn’t see many that I liked. 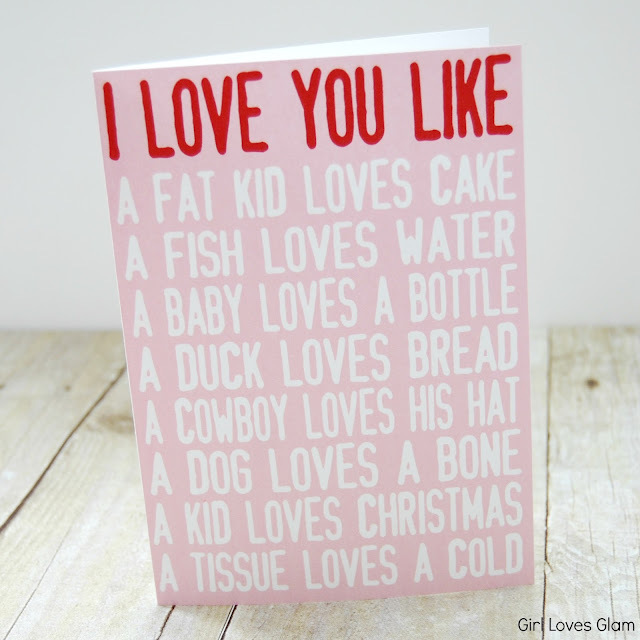 When I did find one that I sort of liked, I would turn it around to see the price and I wanted to fall on the floor at the thoughts of spending $5 on a Valentine’s Day card. I decided to make Dave and Harper Valentine’s Day cards that I actually liked. I wanted to use the concept from the phrase, “I love you like a fat kid loves cake” and bring it to life in a valentine. For kids, I made a cute little option. For the adults, I made a more “colorful” option. I wouldn’t recommend giving a child a valentine that talks about strippers. I made printable ones for you to use for the valentine’s in your life! I thought it would be fun to throw a few silly ones in there that kids might think are funny. I made a boy and a girl option too. These aren’t just for kids either. 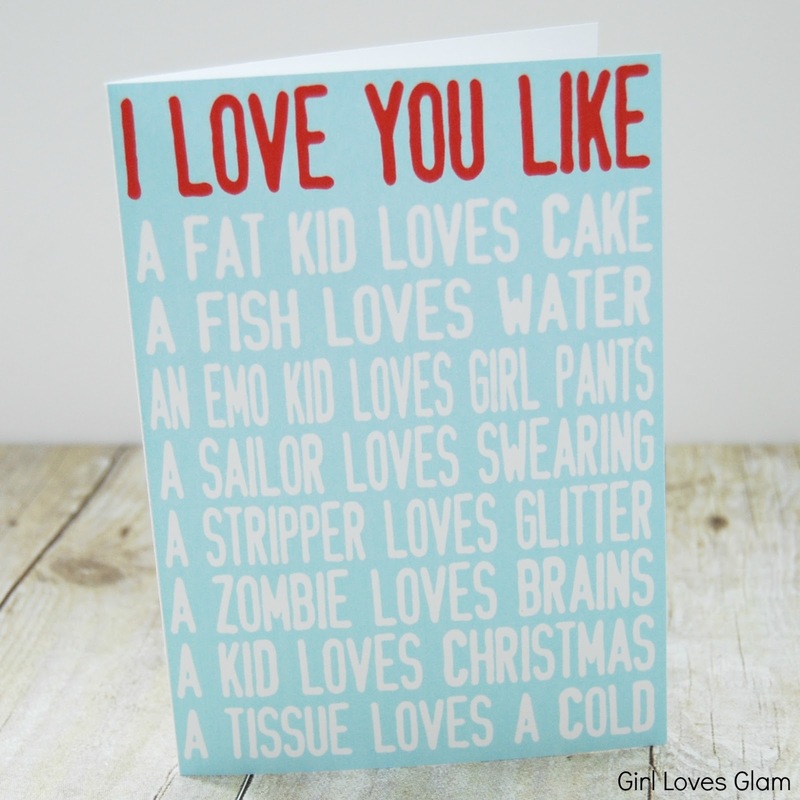 If you have an adult that wouldn’t appreciate the humor of the adult options, this is a great card for them too! To make your own, just right click on the photo and save it to your computer. Open it up in a program like Microsoft Publisher to size it and print it off. These are all for personal use only! For the adult crowd, I made a different option. Not that it is horribly bad. I had to weed through a few very “colorful” options before finding phrases that were funny, but not gross or overly offensive. Just right click on the photo to save it to your computer and open it up in a program similar to Microsoft Publisher to size it to whatever size you want your card to be. These are for personal use only. I have a man and a woman option too. 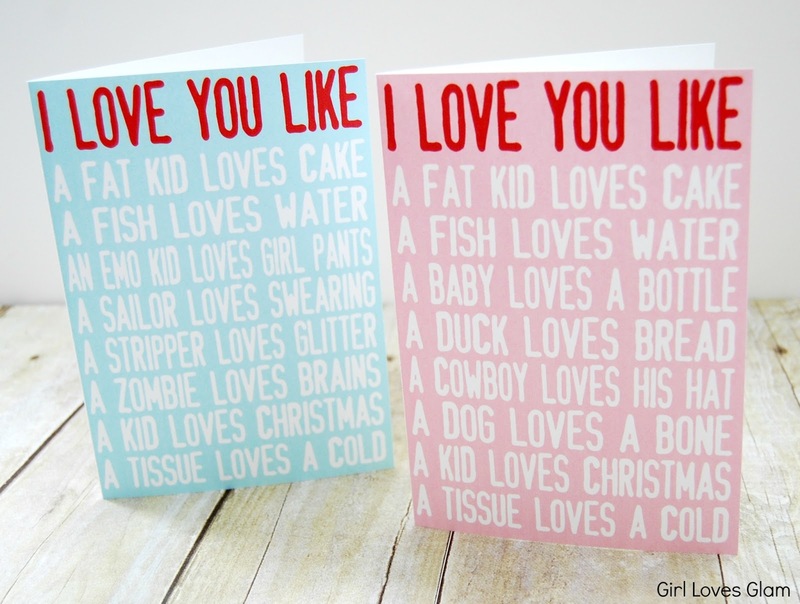 Valentine’s Day is just around the corner, so get those valentines ready to go! I may do these for my bug’s teacher! I really do love her!! So cute & clever… I will be printing the “adult” one for my hubs!!! 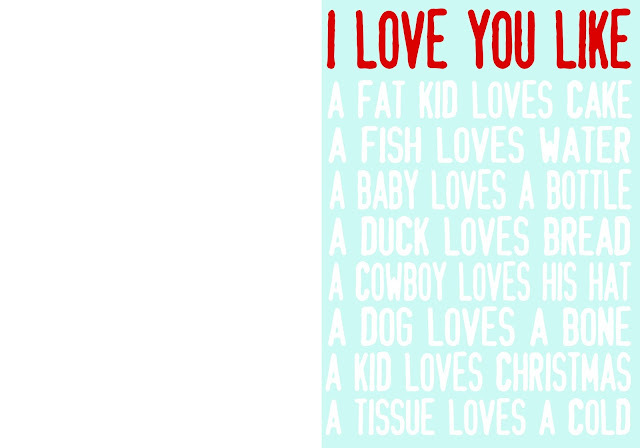 I think the fat kid line is very hurtful (coming from a former fat child). I’m praying that no overweight children see these cards. 🙁 So sad. Hi, if you publish my response, can you please block out my name? Or maybe not publish it. I don’t want to have a problem with anyone. I do love your blog, and almost everything on it but those words are extremely hurtful. Thanks.